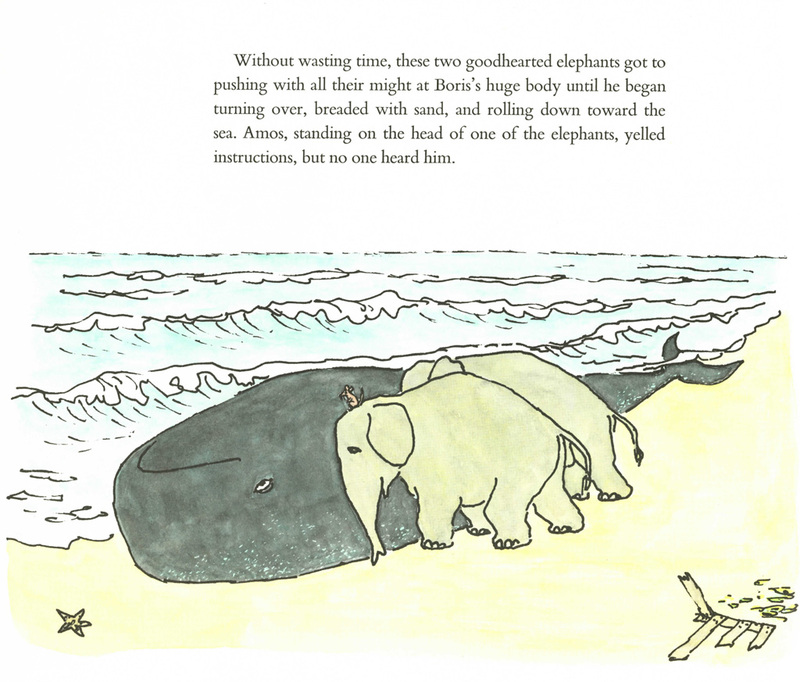 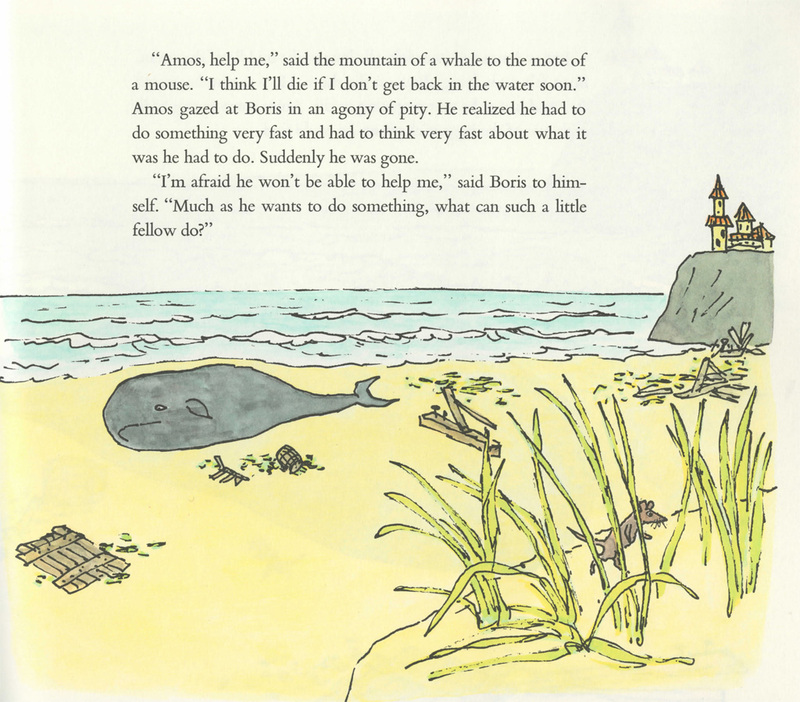 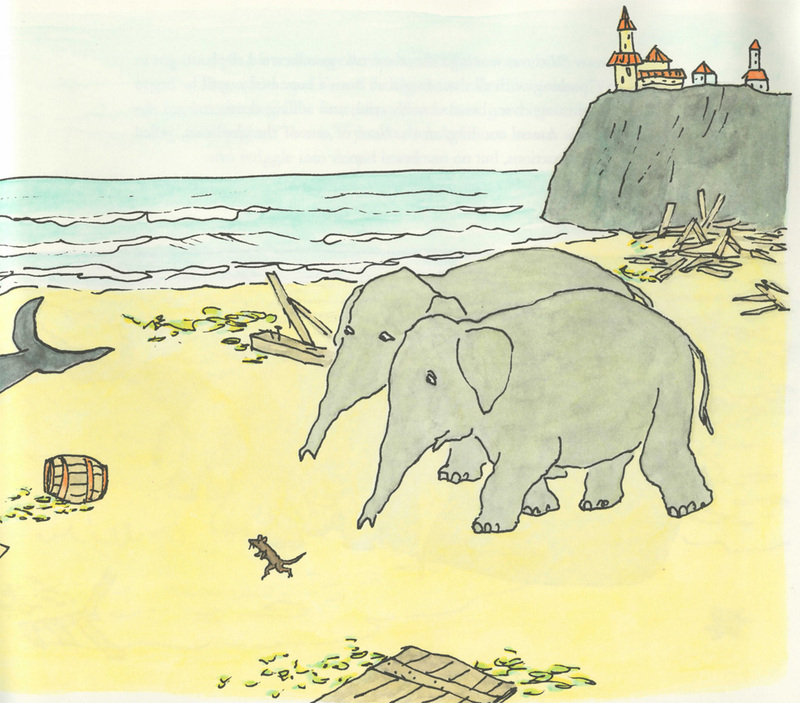 Amos the mouse and Boris the whale: a devoted pair of friends with nothing at all in common, except good hearts and a willingness to help their fellow mammal. 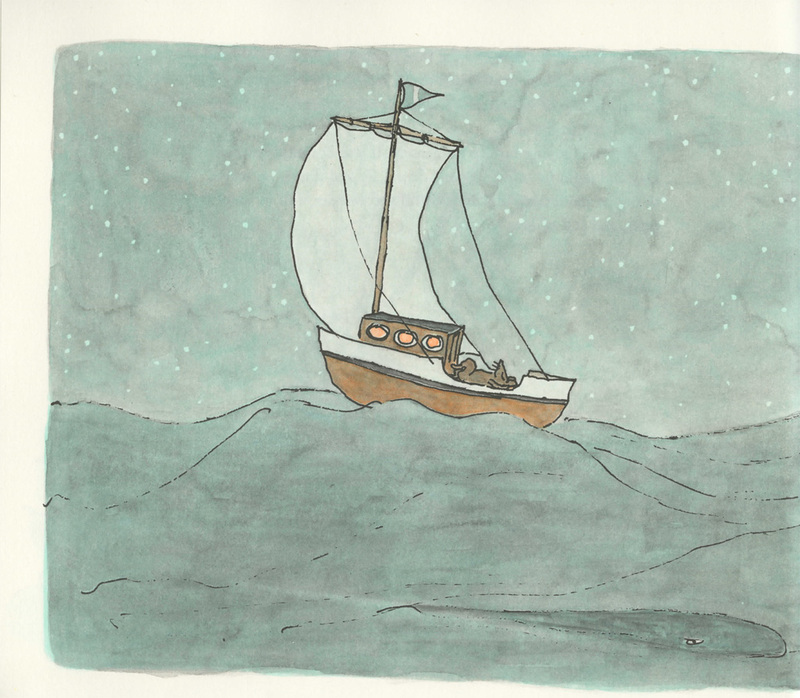 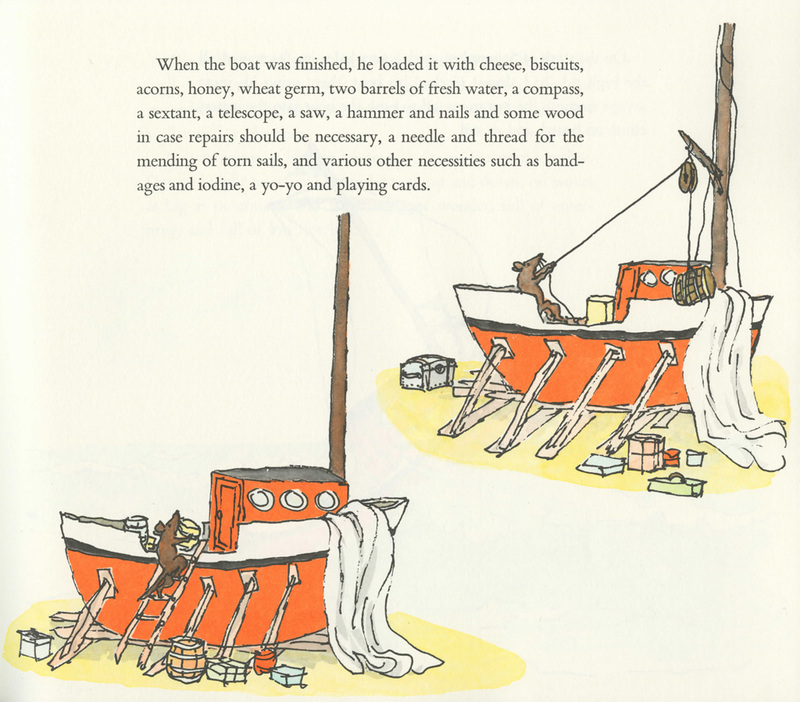 They meet after Amos sets out to sea in his homemade boat, the Rodent, and soon finds himself in extreme need of rescue. 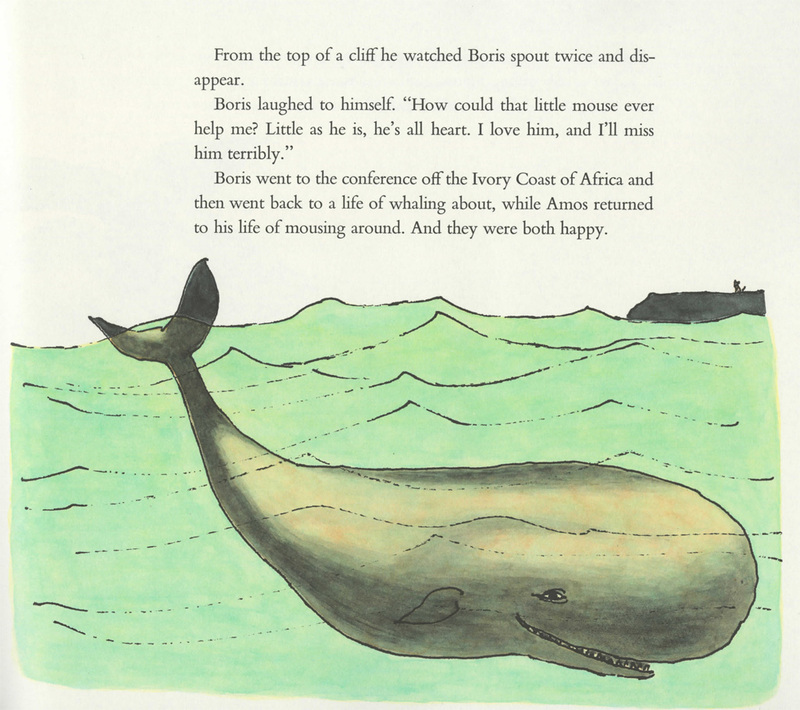 Enter Boris. But there will come a day, long after Boris has gone back to a life of whaling about and Amos has gone back to his life of mousing around, when the tiny mouse must find a way to rescue the great whale. 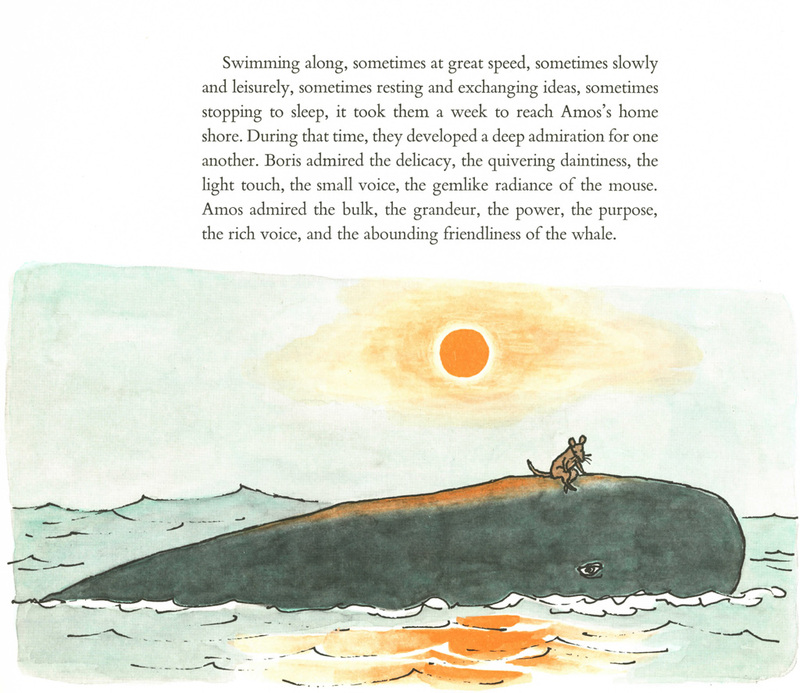 The tender yet comical story of this friendship is recorded in text and pictures that are a model of rich simplicity. 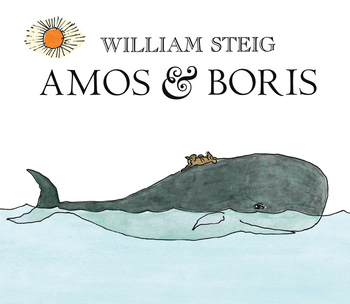 Here, with apparent ease and concealed virtuosity, Caldecott medalist William Steig brings two winning heroes to life. 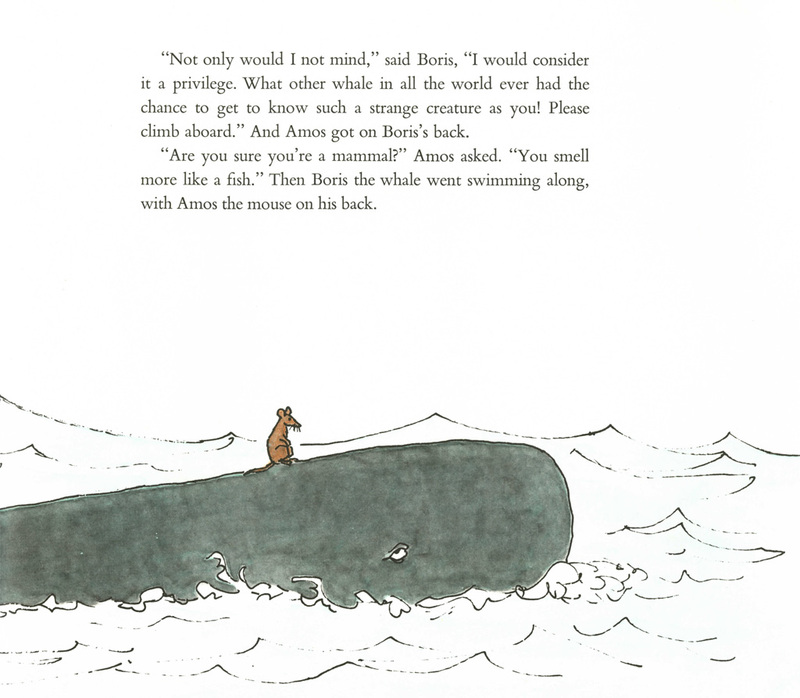 Amos & Boris is a 1971 New York Times Book Review Best Illustrated Book of the Year, Notable Children's Book of the Year, and Outstanding Book of the Year.